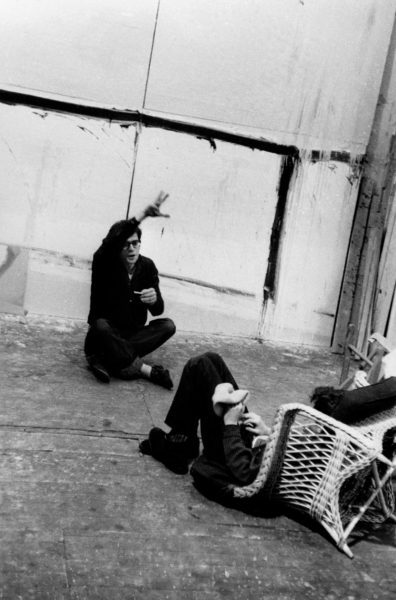 According to the artist Mary Frank, in Lower Manhattan around 1960 “you couldn’t tell a party from an opening from a happening.” Perhaps unsurprisingly, the creative polymath John Cohen was very much in tune with this place and time when music, art and literature all seemed to merge and explode. A film-maker, musicologist and prominent folk revival musician, Cohen is also an accomplished and at times original photographer. Here, Cohen paints a broad picture of the buzzing downtown art scene centred around ‘the block’ in 10th Street over half a century ago. 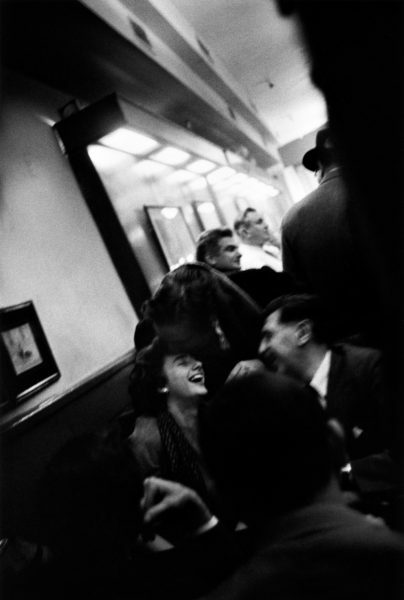 Many of his grainy, available-light photographs of laughter and camaraderie taken in the bars and the galleries mirror their subjects’ artistic authenticity and consummately capture the atmosphere: Franz Kline’s snigger and Grace Hartigan’s laugh are almost infectious to look at. 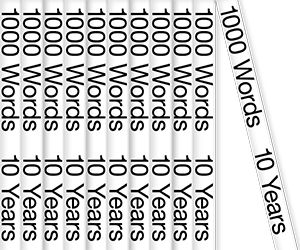 Cohen’s often fine documentary photographs are supplemented by more lyrical ones. One image of a middle-aged man smiling down on two children is both warming (his paternalistic care) and disturbing (they pass “unfortunate homeless winos laying out on the sidewalks”). 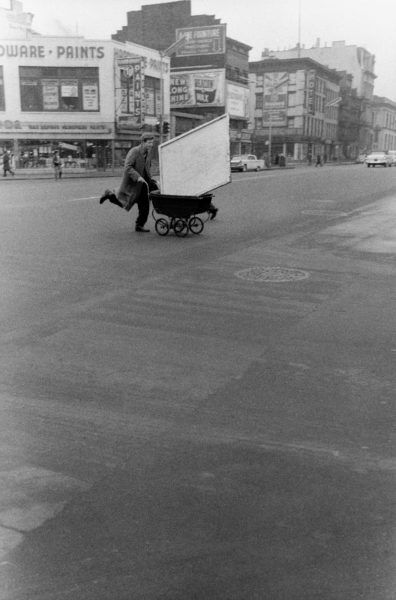 It has so much poetry it could have been taken by Roy DeCarava if it weren’t so unconventional. Another poetic picture – of a shadowy woman floating in a 10th Street window – is at least as lonely as Robert Adams’ famous silhouetted figure in her Colorado Springs tract house, and is just as skillful an evocation of melancholy. Cohen’s portraits, by contrast, are wonderfully warm, but the one of Mary Frank’s husband Robert is edgy and unsettling. Robert Frank is just as intense in the photographs of him making his now legendary film Pull My Daisy, even if his collaborators Ginsberg, Kerouac and others seem more relaxed. 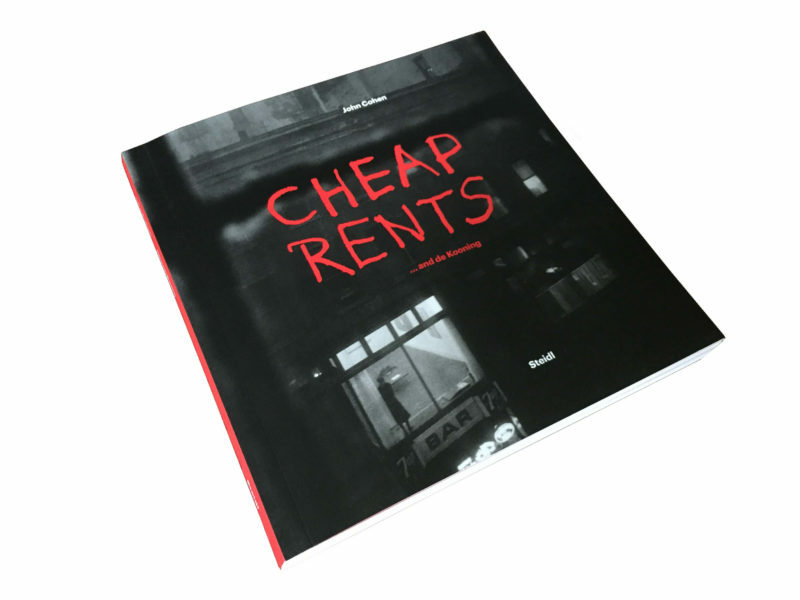 And as Cohen underlines with an inventive Rauschenberg-esque assemblage of prints (of Robert Rauschenberg), Cheap Rents is primarily an artistic record of a place and a time when people were truly alive, very much in the world, living for art, and pushing ideas to their limits – together.